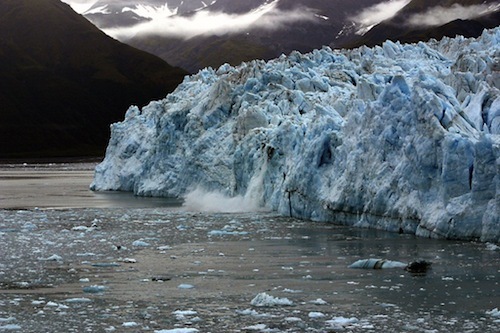 Climate Change is a technology-supported middle school science inquiry curriculum. This curriculum focuses on essential climate literacy principles with an emphasis on weather and climate, Earth system energy balance, greenhouse gases, paleoclimatology, and how human activities influence climate change. Students use geospatial information technology tools (Google Earth), Web-based tools (including an interactive carbon calculator and geologic timeline), and inquiry-based lab activities to investigate important climate change topics. Climate Change is aligned to the Essential Principles of Climate Literacy in addition to national science and environmental education standards. Climate Change has been pilot tested in urban middle school classrooms. Materials best used with the Firefox Web Browser and Google Earth version 5.2 or higher. ELI is sponsored in part by the Lehigh Environmental Initiative. This material is based upon work supported by the Toyota USA Foundation. Copyright © 2018 Environmental Literacy and Inquiry Working Group at Lehigh University. All rights reserved.